Try rebooting the system and then going again. > ** Attachment added: "screenshot6.png"
I just rebooted and the problem continues. I run sudo lshw and attach the pc specs. 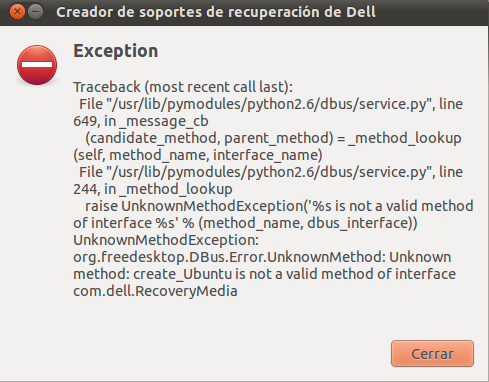 I dug a little bit deeper and that initial error message is caused by self.distributor not being corrected for case. Do you have lsb_release installed? That's the only place I can see that the distributor could have been set wrong. Otherwise it's set to lowercase in recovery_backend each time.